The best tomato varieties are hard to pin down, as there are dozens that serious chefs and gardeners love. The most highly revered tomatoes are the heirloom tomatoes, in both the culinary and gardening world. This is because they have a perfectly adapted structure, an undeniably delicious flavor and pleasant texture. Heirlooms are open-pollinated cultivars that have been adapted to particular environments, with seeds that have been passed down for over a century or two; sometimes even more. A handful of heirloom tomatoes should be recognized for their flavor, size or appearance. This heirloom has an impressive resume. Not only was it the first black heirloom to become popular and first grown by the Cherokee Indians, it has a beautiful indigo to purple color with paint brush strokes of green across the top. The flavor is also unique, with a sweet smokey complex. This heirloom has been in existence for over a century, and can be used for a vast range of dishes. Sliced and grilled, chopped raw for salads or simmered down in sauces, the flavor contributes something to any meat or vegetable dish. The Purple Cherokee is also ideal for dehydrating because of the density. Not all heirlooms are beefsteak, but the ones that are have higher value for the flavor and easy maintenance. With an extreme juicy texture, sweet flavor and usually eaten raw, beefsteaks are the largest of cultivated tomatoes and can weigh over one pound. The seed pockets in the tomato make it one of the easiest varieties to collect seeds from, and the smooth flesh ranges from light pink to dark red. The beefsteak heirloom has unique ribbing that is comparable to ancient pre-columbian tomatoes. This variety is one of the most common heirlooms. Dating back to the 1800s, Brandywine heirlooms are what started the heirloom tomato hype in the culinary and gardening world. Why? Because the variety works with almost every type, style or flavor of cooking. 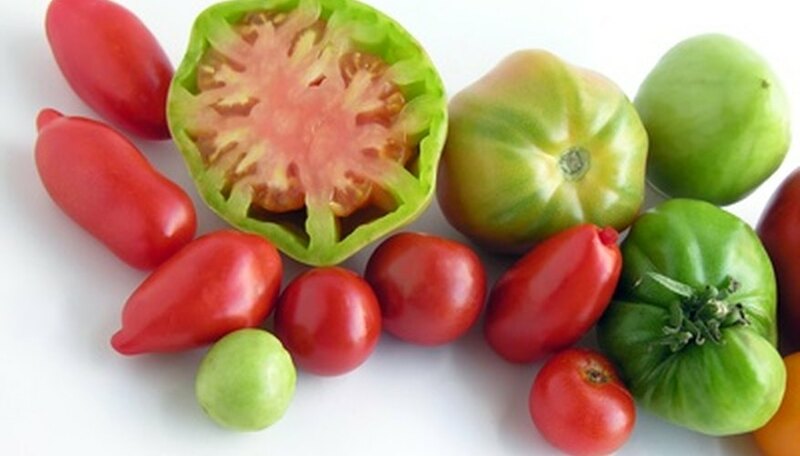 The large leaves on the tomato plant protect the fruit (that ranges from purple, red and pink) while growing, so they have a chance to grow very large, tender and strong with consistent rich sweet flavor. This variety is very meaty to make slicing and cooking easy, so they are perfect on caprese salads, grilled on skewers with meat, simmered for sauces or eaten tossed in pasta. Although this name sounds a little intimidating, it has a delicate tart flavor with a hint of smokiness, and is smaller than other heirloom varieties. The Black Zebra is a cross between a black heirloom and a Green Zebra variety, resulting in a green and purple stripey skin. This is a variety that is best eaten raw, fresh and chilled compared to many others that can hold up in cooking.